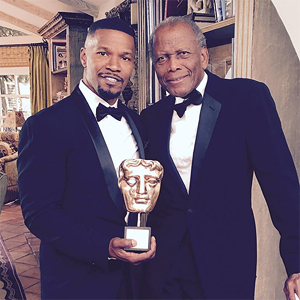 Sidney Poitier has been honoured with the fellowship award at the 2016 BAFTA Awards this Sunday. 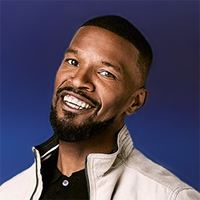 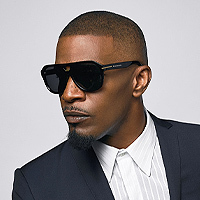 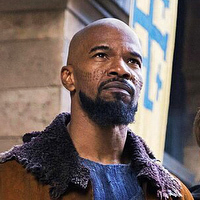 Due to his health condition the actor couldn’t travel to London for the ceremony, so Jamie Foxx headed to the legendary star’s Los Angeles home along with Mr. Poitier’s daughter Sydney Tamiia Poitier to present his award. 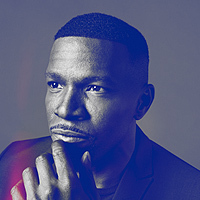 The BAFTA Fellowship is a lifetime achievement award and is handed to an individual “in recognition of an outstanding and exceptional contribution to film, television or games”.